Top moving companies will never pressure you to sign blank forms or offer estimates over the phone without coming to your house first. Quotes should depend on the quantity of items you are moving, how much they weigh, how far you are going and the complexity of your move. NextView Moving is an honest and dependable moving company based out of Austin, Texas. We have over 23 years of experience, and we will always deliver your belongings on time. What sets us apart from other top moving companies is our commitment to providing the finest moving services to each of our customers. It is critical to us that your moving experience is positive and as stress-free as possible. If you are looking to rearrange your home or business, our affordable movers will exceed your expectations. No matter the occasion, NextView Moving is here to meet all of your moving needs. We will stay within your budget and take care of turning around any room for your convenience. We are skilled in moving any specialty items that may be fragile or dangerous to move such as pianos, artwork, sculptures, trophy cases or any other particular piece of furniture. Our company has the capability to plan your move and pack and unpack your items. NextView Moving delivers full service moving for individuals who do not have the time or energy to handle the burden. Our trucks are well maintained moving vehicles to ensure each of our clients safely receives all of their belongings. This is crucial for any move whether it is long distance, intricate, local or small time-framed. With our top moving company, your move will be done right the first time. 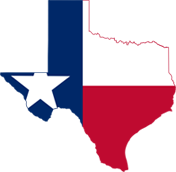 We provide exceptional moving services and secure storage for the state of Texas. Contact us for your next move and allow us to prove to you why we are the finest moving company in Austin.